After experimenting with digital modes using Joe Taylor’s WSJT software it occurred to me that the ZLPLL should be capable directly generating the frequencies for the JT4 digital modes. Since JT4 requires 4 frequencies at exactly 315Hz spacing a fractional-N PLL such as the ADF4351 can directly generate the requires FSK frequencies. The frequency spacing for JT65 starts to get a little demanding for direct synthesis especially at UHF and microwave frequencies so it is unlikly these can be directly generated. There are several designs available from others but for multiple bands the build starts to get complex. What is attractive about this approach is its small size and simplicity. Once confirming on paper the frequencies could be generated, a prototype using an Adafruit GPS Module and my IF Sequencer board was bread-boarded as a proof of concept. 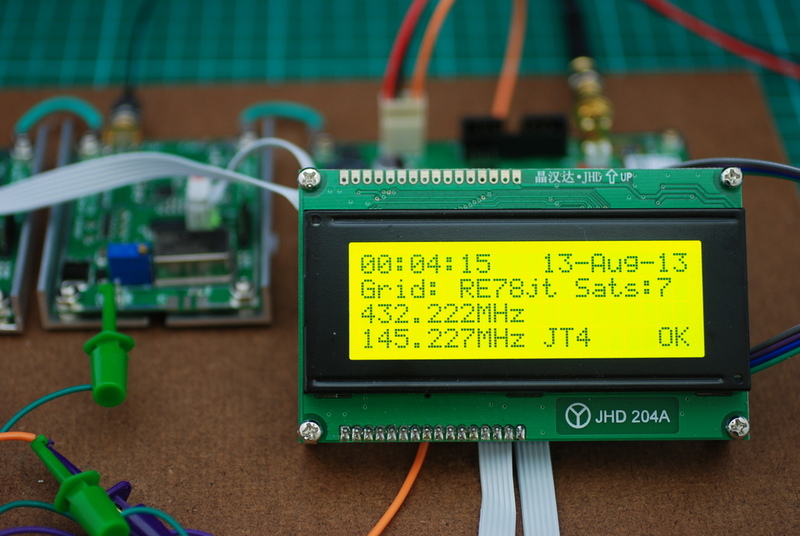 The GPS module was required to ensure the start of transmission was correctly timed with the receiving station, which is a starndard requirement for most W1JT digital modes. 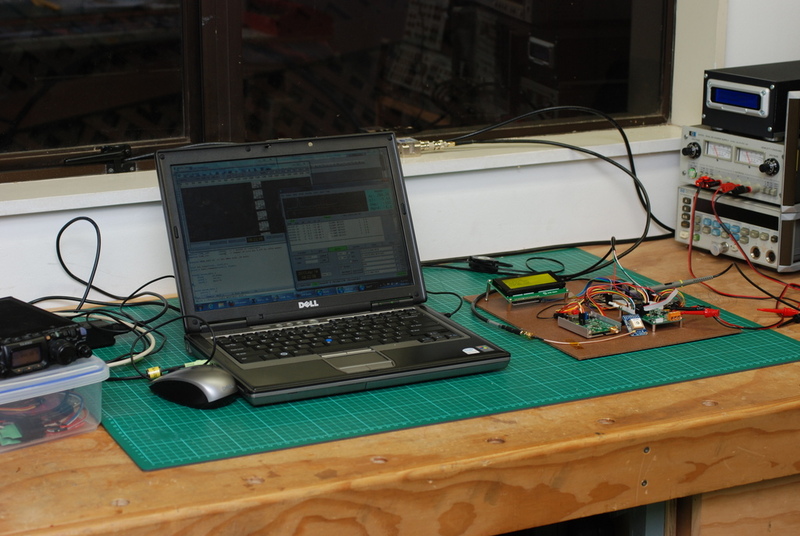 The ZLPLL board was used to generate the frequencies. In order to generate 315Hz frequency steps the phase detector frequency needed to be reduced from 26 MHz to 963KHz which required several changes to the loop filter components on the ZLPLL board. 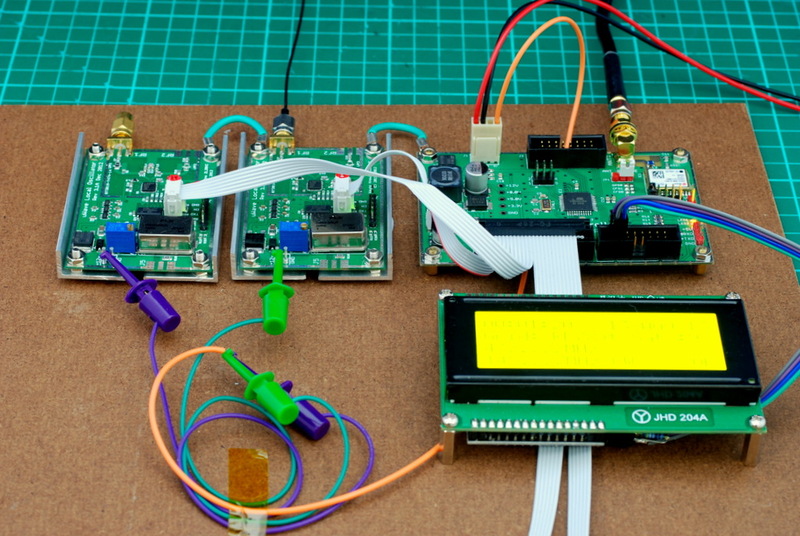 The proof of concept was successful and a special purpose board was designed. 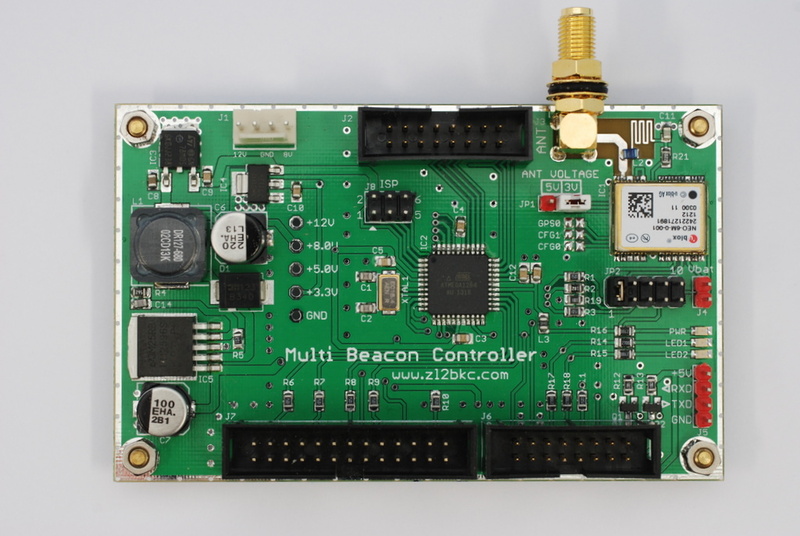 Ability to drive upto 4 x ZLPLL boards, so 4 beacon frequencies can be simultaneously driven using a single controller. The project is still in the development stages, and work is underway to develop the software further. Negiations are underway to deploy 2 boards within my coverage and once proven successful the boards will be made available for others to experiment with for their own beacon projects. My next step is to run a trial on 2m and 70cm simultaneously from my home QTH to soak test the solution, and allow others to help test it. Given my location does not have a good outlook adding FSK441 will be a pre-requisite as this will allow meteor scatter to be used as a number of the keen DX’ers are outside of my coverage area. Generate PSK frequency shift precisely timed at 1 second intervals for propagation monitoring. Independent modes set for each ZLPLL board. Digitally generated cipher to confirm succesful reception. Regular telementry transmission of critical site information – temperature, battery voltage etc. Currently the code is only 16K in size which easily fits within the 128K ATMega 1284 MCU, so there is plenty of room for additional features. The is also enough processor power to drive more bands, which now has me thinking about a version that will drive 8 bands for the next revision of the board. I will post more information as the project develops.